ICC Decisions: Victories for Pakistan? 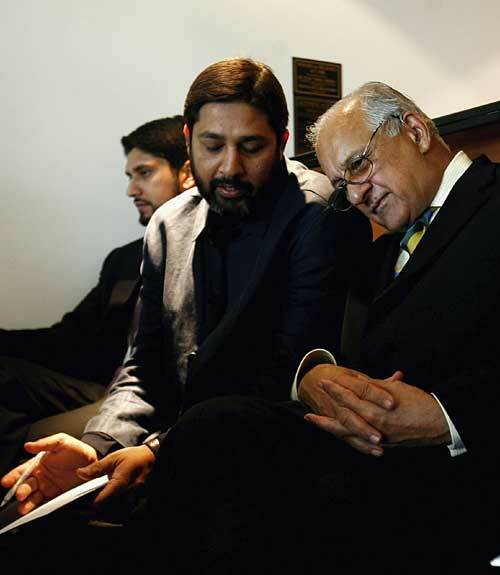 Important decisions just came in on the Inzimam-Hair saga, and they seem like – for most part – victories for Pakistan. Inzimam is cleared of ball- tampering charges but suspended for four one-day internationals for ‘bringing the game into disrepute‘ by refusing to play (see background and discussion here). Meanwhile, controversial Australian umpire Darrell Hair who created the entire storm is not going to officiate in the forthcoming Champions Trophy. Ball-tampering. On the first charge of ball-tampering under paragraph 2.9 of the Code, I find Mr ul-Haq not guilty. Having regard to the seriousness of the allegation of ball-tampering (it is an allegation of cheating), I am not satisfied on the balance of probabilities that there is sufficiently cogent evidence that the fielding team had taken action likely to interfere with the condition of the ball. In my judgment, the marks are as consistent with normal wear and tear of a match ball after 56 overs as they are with deliberate human intervention. Mr Saini (acting on behalf of the ICC) submitted that I should not reject the consistent views of the experienced ICC witnesses. I have considered their evidence, honestly and fairly given, very carefully. But my duty is to form and give my own judgment. Bringing the game into disrepute. On the second charge of bringing the game into disrepute by refusing to play, I find Mr ul-Haq guilty in that on two occasions he led a protest against the Umpires by failing to come onto the field of play at the relevant time. I will now hear Mr Gay (acting on behalf of the Pakistan Cricket Board) on any submissions you wish to make on the appropriate penalty. I take the view, subject of course to any further submissions Mr Gay may wish to make, that this is a Level 3 charge, leading to a penalty of a ban of between 2 and 4 Test Matches or between 4 and 8 ODI Matches. The Pakistan side and Inzimzm-ul-Haq seem to view this as a victory and have decided not to challenge the second part of the decision (4-ODI suspension). After weeks of speculation, it has been confirmed that Darrell Hair will not stand in the Champions Trophy in India next month. “Darrell Hair will not umpire the ICC on the basis of safety and security concerns,” Brian Murgatroyd, the ICC’s media manager, said. “An announcement on the appointment of officials for that tournament will be made in due course.” Asked if this was nothing more than a convenient get-out, Muragtroyd replied: “Not as far as I am aware”. Cricinfo is aware that there has been considerable discussion and disagreement within the ICC in recent days over Hair’s involvement in the tournament. Pressure from the four-nation Asian bloc has seemingly forced the ICC’s hand and Hair will no longer be permitted to officiate in internationals involving any full member side. [ICC CEO] Speed revealed that he’s spoken to Hair last night, after the decision was taken and added that they will make an effort the protect Hair’s interests. “I’ve said it a number of times that I hope we can find a way for Darrell to umpire,” he said. “The board has resolved that they don’t wish Darrell Hair is appointed to umpire international matches. I spoke to Darrell yesterday after the decision was made. I told him about it and he was very disappointed. David Richardson, who is the ICC General Manager of Cricket, and myself will speak to Darrell over the next few days and talk about what it means to him. Bilal You must be kidding. Good diplomacy by Shehrayar? He came out as a moron in England when Pakistani team didn’t decide to back in field and Shehryar was backing them up. How come such older man didn’t advise the team this childish step would result something worst[which finally happened]? Shehryar is one of the worst PCB chairman in the history of Pakistani Cricket. Inzy was released not because of Shehryar but credit goes to Mr. Ranjan. Everyone knew that they didnt have any solid evidence against Pakistani team so any unbais person could comeup with a decision like Mr Ranjan’s verdict. Speaking of Shehryar’s skills, that man still not able to reach to decision that whether Hair should be attacked back by Pakistan for insulting the team or not. He’s actually discussing ICC about it. Duh. Yes, good outcome for Pakistan and Inzi, all things considered. It would behoove Inzi to act more like Imran Khan in the future. Makes sense…I am begining to like how the events are taking place. Cricket Politics or Cricket Diplomacy? We will miss you Inzamam-ul-Haq!